China’s top search engine Baidu already has driverless car prototypes out on the road. Now they’ve announced plans to have them in mass production in five years. That might not even be the most ambitious part, either. Company president Zhang Yaqin also stated today at the Annual Meeting of the New Champions 2016 in Tianjin that Baidu would have driverless cars on sale within three years, as Shanghai Daily reports. 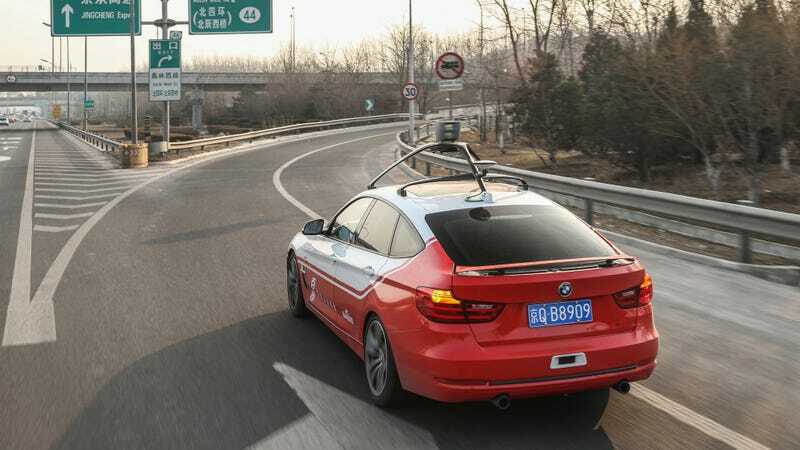 Baidu’s driverless car project has been underway since 2013 with prototype BMWs plying the roads since last year, if you’re curious. This is all part of the Chinese government’s major support for the development of driverless cars, and I wouldn’t blame you for some skepticism. Their previous efforts to support electric cars end up with press releases from today that sound no different from ones five years ago. Here’s to hoping the current efforts work out, though. Autonomous cars to take over from the lazy hordes of texting/sleeping/reading drivers of today can’t come soon enough.